Few people think about the risks we face every day. When we witness a car accident we may hope that those involved are uninjured, but not consider what it would be like to be the victim. Most people have no idea what to do after an accident. 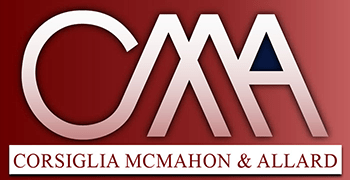 At Corsiglia McMahon & Allard, L.L.P., we help our clients through the difficult process of obtaining proper compensation after a personal injury accident. If you have been injured by a defective product, hurt in a car or truck accident, or suffered any injury due to the negligence of another, contact our experienced California attorneys today. You never pay us anything unless we recover compensation for you. No win, no fee. Our firm is committed to making our communities safer. We do this by holding individuals and businesses accountable for the harm they cause. Our attorneys have earned nationwide reputations for dedicated advocacy and trial skills. Our record in personal injury litigation speaks for itself. You Have Been in an Accident. Now What? Seek medical attention: In any type of accident your primary concern is to obtain the treatment you need. If you are hurt, go to a doctor. Tell the physician everything that happened and keep track of everything you discuss. Call the police: In a car, truck or motorcycle accident, you need to call the police to file an accident report. Without an official record of the incident, collecting compensation from an insurance company can be very difficult. Stay put, unless you cannot do so safely: When the police arrive, they may move your car or ask you to do so. Evidence of an accident can be lost if you drive away, even to a nearby parking lot. If you can, take photographs of the scene to document where the accident occurred and what it looked like. If staying in place would leave you in danger of further collisions and injury, take whatever steps are necessary to secure your safety. Your health is the most important thing. Gather witness information: Anyone who saw the accident may be a vital witness if a lawsuit is necessary. If possible, collect the names, addresses and phone numbers of anyone who saw what happened. Get the other driver’s information: The other driver’s name, address and insurance information are vital. Without that information, it may be difficult or impossible to obtain compensation for your injuries. Describe the accident, but do not admit fault: Even if you believe you are responsible for the accident, do not say so. 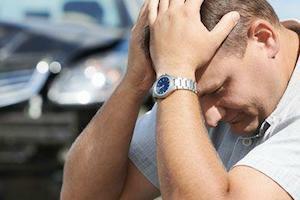 Inform your insurance agent: Notify your insurance company of the accident. Call an attorney: Before speaking to an insurance adjuster, call us. Insurance representatives handle countless claims every year. They know how to limit the compensation their employers will have to pay. If you say the wrong thing to an insurance adjuster, you could severely limit your rights after an accident. Contact us at (408) 289-1417 as soon as possible after an accident. We can help you protect your rights and obtain the compensation you deserve.